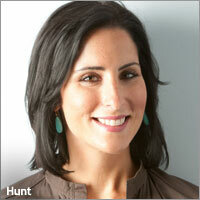 AOL on Tuesday named Jolie Hunt as its new chief marketing and communications officer. In her newly created role, Hunt will oversee AOL’s global communications strategy, including internal and external communications, social media, corporate social responsibility and cause-related initiatives. Reporting directly to AOL head Tim Armstrong, Hunt will also be responsible for AOL’s global brand development, partnerships and consumer marketing efforts. Indeed, along with its content concentration, AOL has been a company in flux since its official separation from Time Warner in late 2009. Most recently, as part of yet another restructuring effort, AOL recast its CFO, Artie Minson, Jr., as chief operating officer. In his new role, Minson is overseeing the formation and execution of three new operating units, including the AOL Membership Group, Content Brands Group and Advertising.com Group. Although not expected to complete the process until the end of the year, AOL said Friday that it was already preparing “profitability information” for each of its new operating groups. The corporate areas of AOL’s business -- including sales, technology, corporate communications, brand marketing, finance, legal, and human resources -- will continue to report up to Armstrong. Hunt most recently served as senior vice president, global head of brand and public relations at Thomson Reuters, where she was responsible for brand, advertising, PR and digital social media for the company’s news and financial services businesses. Prior to joining Thomson Reuters, Hunt was the global director of corporate and business affairs at IBM, and from 2002 to 2006, she served as director of public relations for the Financial Times.